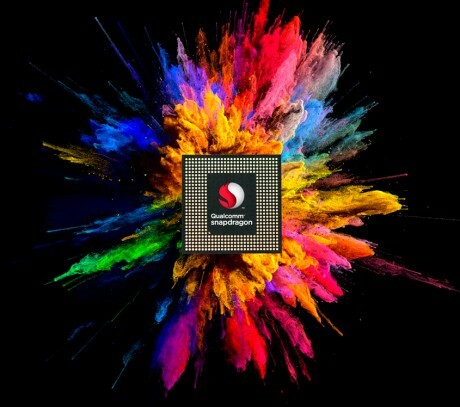 Qualcomm today announced the Snapdragon 845 mobile platform, its flagship system-on-a-chip for 2018. Qualcomm expects the module to form the core of next year's top smartphones, which it will endow with multimedia smarts for both audio and video. When designing and engineering the Snapdragon 845, Qualcomm focused on five key pillars: immersion, AI, security, performance, and connectivity. The chip relies on nine individual sub-sections, each of which is responsible for processing certain types of information, with the pillars providing guidance. The Snapdragon 845 includes the Kryo 385 CPU, Hexagon 685 DSP, Spectra 280 ISP, AQstic Audio, the Adreno 630 visual processing subsystem, as well as WiFi, system memory, and hardware-based mobile security. Qualcomm spent a lot of its energy on the immersion pillar, which focuses on imaging and video. This largely takes place in the Hexagon 685, but is also handled in the Spectra 280 ISP, Adreno 630, and AQstic Audio. This makes possible features such as Ultra HD Premium (HDR+) video capture on smartphones. Ultra HD Premium makes a significant leap in three core factors: color depth, dynamic range, and luminescence. The color gamut jumps to 10-bit color, or from today's 16.7 million available colors to 1.03 billion available colors. The dynamic range improvements mean 845-powered devices can capture a lot of color information at really low power, delivering efficiency savings of 30%, graphics that are 30% faster, and an increase of display throughput of 250%. These benefits will impact still images, as well as augmented/virtual reality. This means using a phone's camera to record HDR+ video won't drain the battery. The AQstic Audio provides more headroom for pairing high-quality sound recordings with a three-factor improvement in clarity. This can even reach into voice-based artificial intelligence, allowing phones to more accurately hear and process human speech. The Snapdragon 845 will include Qualcomm's fastest modem, the X20 Gigabit LTE radio, so next year's smartphones can take advantage of the growth of Gigabit LTE availability from the likes of AT&T, Verizon, and T-Mobile. Gigabit LTE is a stepping stone to 5G. The X20 can reach 1.2 Gbps, with support for five-channel Carrier Aggregation, 4x4 MIMO, LTE-LAA, and 12 streams of data, resulting in a 20% bump in average speeds. The 845 includes advanced Bluetooth, allowing devices to broadcast stereo streams to individual earbuds, as well as multiple speakers at the same time. It can do this while improving battery life on headphones. The chip packs new wifi tools, too, such as the ability to connect to access points quicker. Hardwired tools in the form of a secure processing unit, give the 845 the ability to handle iris-based and facial recognition biological authentication. It includes a secure vault designed particularly to safeguard biometric data. Qualcomm expects the Snapdragon 845 mobile platform will help smartphone makers create compelling devices with exciting features.The Snapdragon 845 will be appear in the first wave of phones starting in the first half of 2018.